Didn't seem to be any paste or hint of there being any at any point on mine, there was a gasket on the rear pipe to back box ( called a washer on most sites) and I'll probably wellseal that one. Do you know how to get the front pipe off? Is it up through the engine bay? When you say what size nut, do you mean thread or head size? It could be that the thread on the bolt is knackered - I would always replace those and then refit with brass nuts. Last one I did I used a light smear of paste but it's probably fine without. Front pipe from underneath (I think - was a little while ago) but it is awkward (that I do remember), assuming this is a 2.25 petrol. 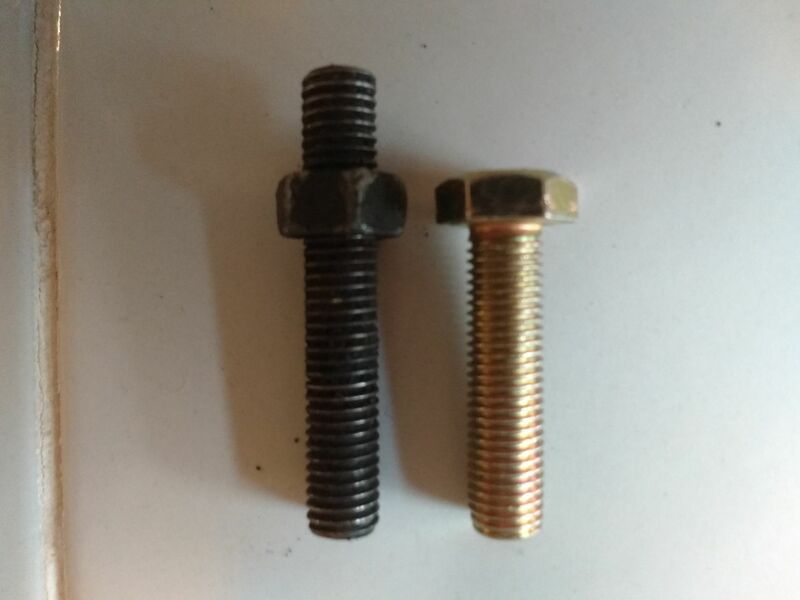 Sorry , I was literally talking about the spanner size , I think I will use a nut splitter to split the nuts as I really don't want the stud snapping off , its difficult enough to get to the nuts without having to drill the studs out as well. Thanks , ive bought a fitting kit so ill have a look whats in there . 2a-Egg , from what ive seen/read it is from underneath thats what ill be trying first. No paste required unless you have an old section of pipe with corroded or damaged joint. I'd hazard a guess at the nuts being 9/16", but could well be a bit bigger. How easy was it to get the front pipe on did you do it with the truck on the ground? A ratchet spanner , 13mm on the back was handy because there is very little space to move a spanner so youre moving it a very small amount at a time . I ended up getting it off without Jacking it up, wheels on full lock right and a little swearing and it came out ha. I doubt they are made of zinc. Probably zinc passivated. Or, looking at them, brass? Do you mean for the manifold to engine mounting? I think the heat in the manifold might cause them to expand and contract in weird ways, and the little unthreaded bit on the proper studs helps locate the manifold. Otherwise Landrover would have done the bolt thing. Brass nuts in the related items. You can have them both for under £10 and will do a much better job. They should be fine. Use copper grease. Tighten nothing until it's all right, then tighten all a little bit. Check, repeat. Gazzar , the ones I have or the ones suggested? I am sure you would be best using the standard studs and double depth brass nuts. They will always come undone in the future. If your existing studs are corroded replace them with new ones. Thanks. I would never have considered that.